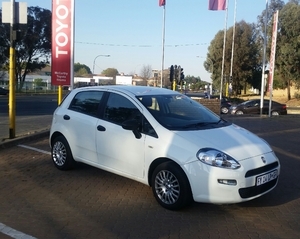 2012 Fiat Punto 1.4 Easy for sale. This car comes equipped with stop start ability, aircon, power assisted steering and front electric windows. This car has only done 88 000kms, is very fuel efficient and comes with full service history. Contact Jude for more info or to book a viewing on 073 245 3484.